Now, you can listen to COWBOY LOGIC RADIO 24 hours a day, 7 days a week, 365 days a year! Don't worry if you missed this week's show. This week's show is in rotation, along with 10-12 more recent COWBOY LOGIC RADIO shows! 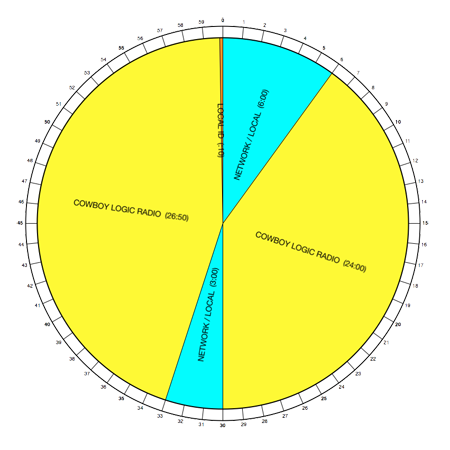 COWBOY LOGIC RADIO is broadcast on both AM/FM stations, as well as on Internet based networks. We appreciate our loyal affiliate stations and networks. 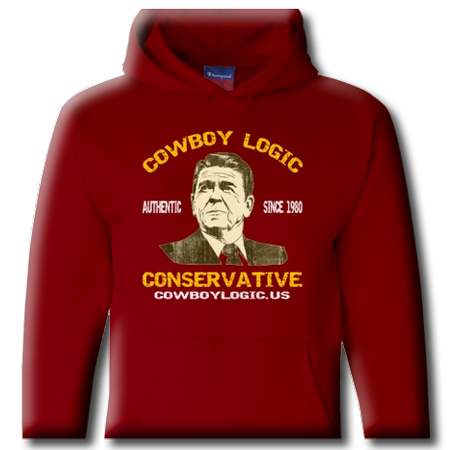 COWBOY LOGIC RADIO would love to be a part of your radio station's programming! If you would like to add COWBOY LOGIC RADIO and any of the other great Conservative shows that are produced under DONNA FIDUCIA PRODUCTIONS, please contact RON PHILLIPS with MoJo 5.0 Radio at 800-804-9682 or email Ron at: ron@mojo50.com. 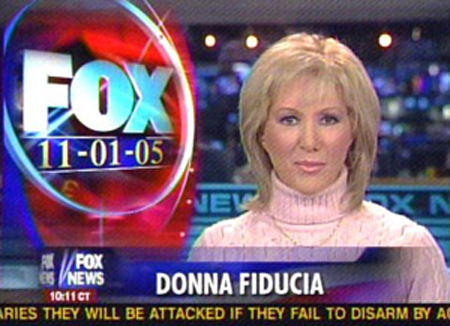 In early 2013, Neuen and the love of his life, Donna Fiducia (former Fox News Channel Anchor), found themselves screaming at the television in complete disgust! They looked at each other, and decided to start their own Internet based radio show: COWBOY LOGIC RADIO. In 2015, Fiducia and Neuen formed a partnership with Premo Mondone, founder of Red State Talk Radio, to create the Dominant Force in Conservative Internet Talk Radio. And they did just that! The combined powerhouse of Premo Mondone, Donna Fiducia, Scott James and Don Neuen created the perfect marriage between Internet & Terrestrial radio. 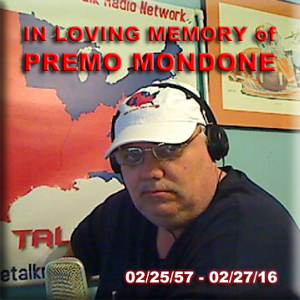 Unfortunately, about a month after Premo's death, due to operational and managerial differences with new partners, Neuen, Fiducia and James decided the best and only thing to do was to collectively resign from Red State Talk Radio and focus their combined efforts on increasing the south Georgia / north Florida terrestrial talk radio market. In addition, the trio of Donna Fiducia, Scott James and Don Neuen will continue to create and develop original, alternative radio programming with a focus on worldwide distribution via the Internet as a tribute to the legacy of Premo Mondone. Ladies and Gentlemen, the mainstream media has completely failed the American people... Cowboy Logic Radio will NOT fail you! We have developed and / or produced numerous highly rated shows such as The Denise Simon Experience, Black Man Thinkin', Blowin' Smoke, Drive Time SITREP and Wide Awake, The Michael Cutler Hour, Squashing Liberalism, The Truth About South Africa, as well as Cowboy Logic Radio. In addition, Donna Fiducia Productions works closely with shows such as REELTalk Radio with Audrey Russo through distribution to other Internet and Terrestrial Radio Networks. The continuous streaming player above features high quality Conservative Talk Radio shows that we produce, have developed, or distribute globally. For Internet or Terrestrial radio networks that would like to add some or all of this fine programming to your stations, please contact us for the credential needed to relay our stream. She also anchored Good Day New York and Good Day Sunday where she not only anchored the news but did celebrity and lifestyle interviews. Fiducia gained national recognition as the host of Entertainment Watch on VH-1, featuring entertainment news and celebrity interviews from movie stars to musicians. Fiducia began her career at Shadow Traffic in New York. She went on to report from WNBC Radio's "N Copter" where she worked daily with Howard Stern and Don Imus. Fiducia is an avid horseback rider and has won numerous state and national championships in equestrian events as a hunter/jumper. In addition, she is competing at barrel racing in rodeos. Currently, Fiducia resides in Georgia where she owns, raises and trains champion warmbloods and quarterhorses on her horse farm, Double D Ranch. In 2007, she founded her own Georgia-based production company, Donna Fiducia Productions, Inc. which specializes in media production, soundtrack music, voice-over talent, media training, and political campaigns marketing. She currently serves as President and CEO of the company.